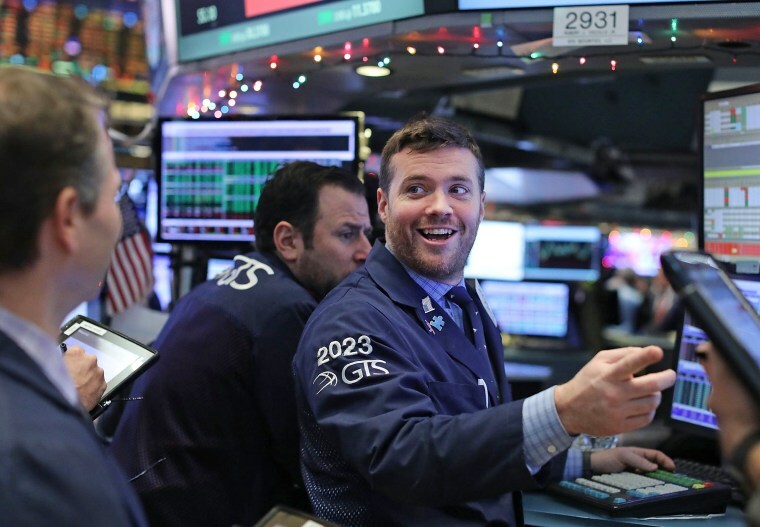 The blue-chip Dow Jones index raced past the 24,000 mark for the first time on Thursday, propelled by further gains for bank stocks and a recovery in technology shares. The 30-member index has crossed four similar 1,000-point milestones this year on the back of strong corporate earnings, robust economic data and hopes that President Donald Trump's tax plan would make headway. Efforts to push the sweeping tax legislation through the U.S. Senate was hurtling on Thursday toward a dramatic conclusion, with Republican leaders pursuing behind-the-scenes deals intended to secure enough votes for passage. "The signs continue to be good, the Republicans are actually moving the ball forward and I think the market is optimistic that it's going to happen," said Brad McMillan, chief investment officer for Commonwealth Financial. All major S&P indexes were higher, led by energy index's 1.33 percent rise. Kroger was the biggest S&P gainer, surging about 12 percent after sales and profits beat estimates. Sears Holding jumped 13.3 percent after the retailer narrowed its quarterly losses.